Athens is a unique city. Some people love it, some hate it. But If you wander beneath its superficial modern-day facade, you will discover small jewels that aren’t written about in most guidebooks. Small parts of a bigger puzzle that will steal your heart forever: neighbourhoods dating back to previous centuries, hidden laneways with astonishing buildings, picturesque squares, forgotten monuments, and exquisite art galleries. A piece of Athens that we love is the time-forgotten district of Anafiotika. On the northeast side of the Acropolis hill, under the shadow of Athens’ most famous landmark, sits this tiny neighbourhood. Situated next to the equally amazing, but more well-known, neighbourhood of Plaka, and next to the ancient Agora, Anafiotika is a breeze of Aegean in the heart of Athens. This Aegean island-like neighbourhood was created in the 19th century by craftsmen from the Cycladic island of Anafi. During those years, Greece had become a new independent kingdom under the protection of the Great Powers (Russia, Britain, and France), who had assigned a new modern king for Greece, Otto (or Othon). Otto started reconstructing Athens, and many islanders moved to the city to find jobs, including the construction of Othon’s palace, today known as the parliament building in Syntagma Square. These skilled tradesmen started building their own houses on the rocky grounds under the Acropolis hill, which reminded them of their island left behind. New neighbours (refugees) found shelter here after the Greek-Turkish war in 1922, that ended in what is known in Greece as the Asia Minor Catastrophe, and the population exchange between Greece and Turkey. Their descendants still live there today, among the 45 houses remaining along streets that are still unnamed. Today, Anafiotika has started luring more and more locals, travellers, artists, romantics, and bon vivants to the district’s streets. 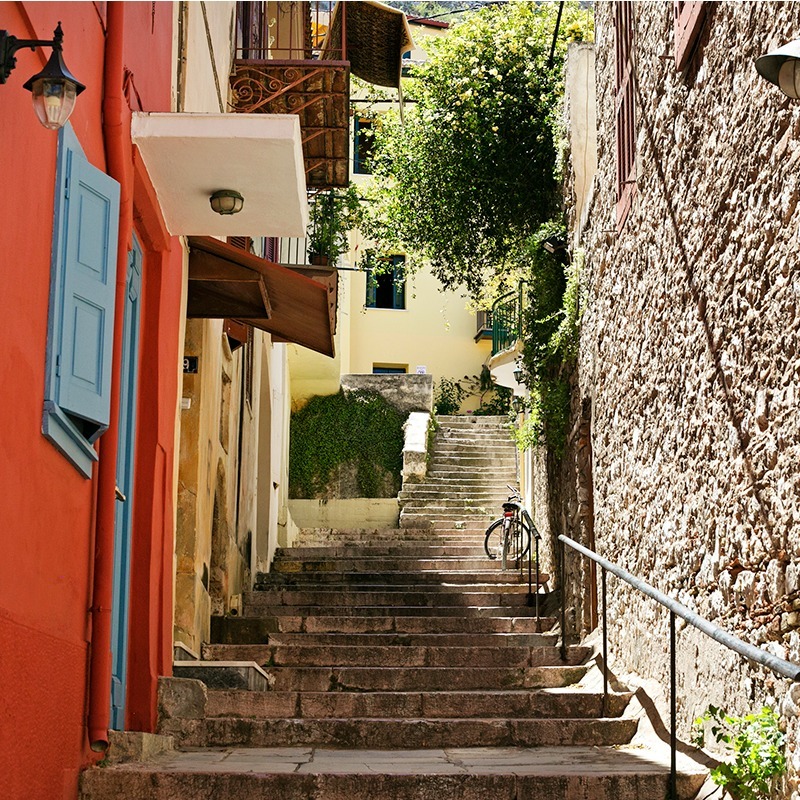 If you are in Athens and want to travel back in time, let your your footsteps lead you to Plaka. From there, follow the narrow, winding alleys that go up the hill, walk on steps carved in stone, and wander between the small white and blue houses built on this slope. Get carried away by jasmine essence in the air from the many flowerpots, and admire grapes hanging from grapevines. It won’t be difficult to lose yourself forget that you are in the centre of a 4-million populated city. From the Acropolis museum station, take the exit to Dionysiou Aeropagitou, which is a pedestrian street. From almost opposite the entrance of the Acropolis Museum, follow Thrasylou Street, which becomes Stratonos Street. Keep your eyes on your left-hand side and you will see steps winding up the Acropolis hill. From the Monastiraki metro station, walk toward Plaka neighbourhood, following Adrianou Street. 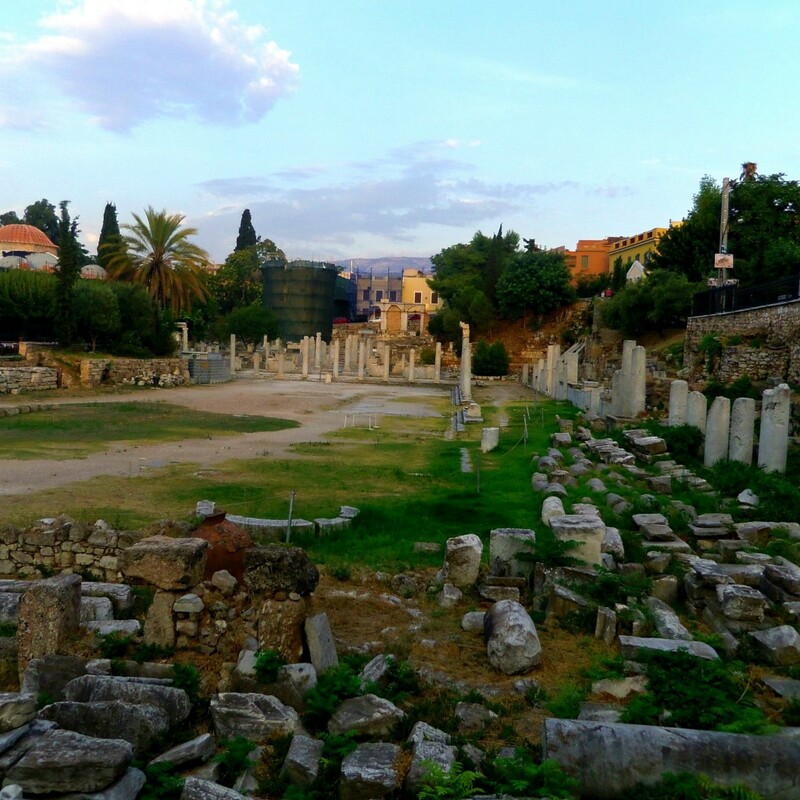 Pass the archaeological site of the Roman Agora, and while you are on Adrianou Street, climb the stairs that you will see on Mnisikleous Street, to the top. Turn left on Pritaniou Street, then right on Stratonos Street. Anafiotika should appear on your right. Wear comfortable walking shoes, as the streets are very uneven. During summer, try to visit early in the morning to avoid the heat. Don’t make any other plans, as time will fly in this maze of narrow streets! Don’t be afraid to get lost! Sooner or later you will end up next to the Acropolis or Plaka. End your walk by having a meal in a nearby restaurant. 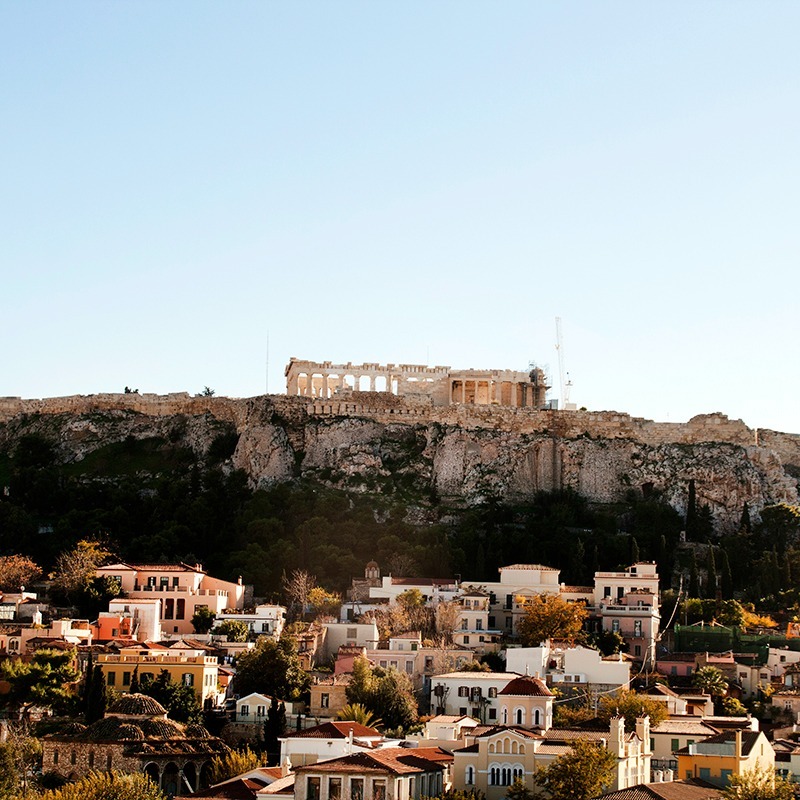 Travelling to Athens and seeking the local side of life? Let us show you were the locals go on one of our Athens city tours!